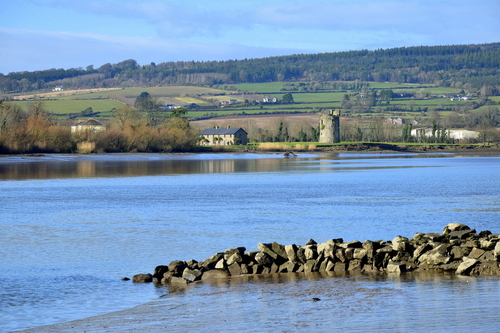 Rocketts Castle on the banks of the River Suir at Portlaw,Co. Waterford. This picture was taken from Mooncoin in County Kilkenny.